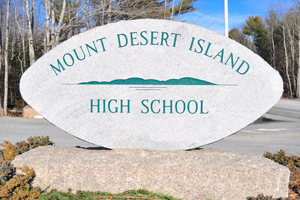 MacQuinn lands school paving jobs - Harold MacQuinn, Inc.
BAR HARBOR — With a low bid of $592,542, Harold MacQuinn Inc. has won the contract to repave parking lots at Mount Desert Island High School and renovate the area around the gym entrance this summer. 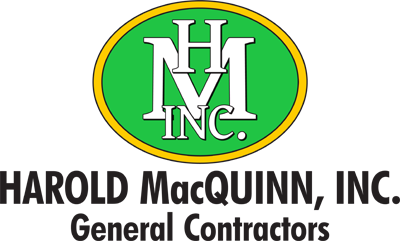 Hedefine Engineering, which designed the project and handled the bid process for the school, had estimated the cost could run as high as $750,000. The high school trustees voted May 25 to accept MacQuinn’s bid. The project includes paving the large front and rear parking lots and an area behind the school building. A “cutout” for buses will be created in front of the gym, and there will be what Principal Matt Haney described as “cosmetic upgrades” around the gym entrance. The high school trustees voted in April to authorize Superintendent Marc Gousse to borrow up to $1 million for the paving project and, if needed, to help pay for replacing leaky walls and windows in one wing of the school. E.L. Shea Builders will do the walls and windows project this summer. Gousse said last week that, even though the trustees have enough money in their budget for the $587,000 walls and windows project and the paving work will cost significantly less than anticipated, he plans to borrow the entire $1 million authorized by the trustees. “The residual will be used to pay down debt,” he said, explaining that interest rates are currently quite low. The trustees in April accepted First National Bank’s offer of a 10-year fixed rate of 2.15 percent on a $1 million loan. “Having access to those funds allows us to pay down debts we have with higher rates,” Gousse said.